Today Avalon had her first experience with the equine dentist! While I couldn't be there due to work, hubby was able to go and keep me posted. When Avalon got her Spring shots a couple of months ago I had asked my former vet when she recommended Avalon to start getting her teeth looked at. She told me when we started training, so 3ish. When my barn manager told me last week that the dentist would be up today and if she wanted Avalon looked at I thought it was probably a good idea for him to at least look in her mouth. I'm sure glad I did! While I think most vets are great at what they do, when it comes to my horse's mouth I always trust an equine dentist after a bad experience with a vet floating Finn's teeth a couple of years ago. I've noticed that when Avalon is chewing that she sort of moves her tongue to the side like she's pushing the food back, but I didn't make a big deal of it and just passed it off as how she eats, because I'm trying not to be obsessive and neurotic about things when it comes to her! Well, once the dentist was inside her mouth she had tons of points that were actually wearing on the inside of her mouth and clearly very uncomfortable. The dentist told hubby that it is a misconception that younger horses shouldn't get looked at/worked on, as that is the most important time to check out their mouths. 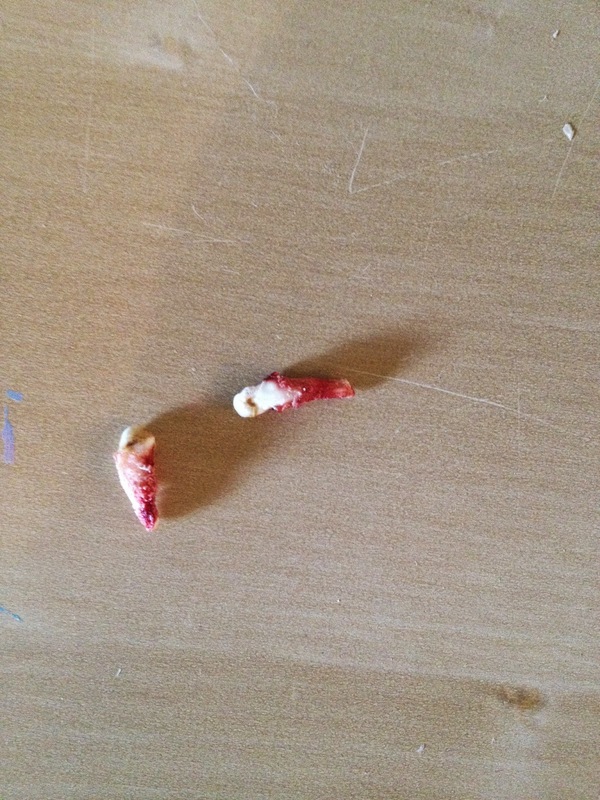 He also took out her wolf teeth so we wouldn't have to do it a few years down the road. She was super well behaved too, and the dentist did everything possible to make it a positive experience for her. I'm sure her mouth feels a whole lot better now!